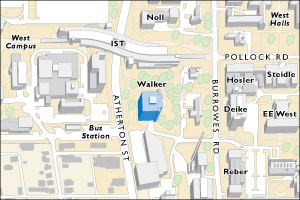 Monday 10:10-11:00, 607 Walker Bldg. METEO 498A will introduce students to data management methods, techniques and procedures by utilizing a real world “problems and solutions” based approach. This is YOUR opportunity to learn these highly sought after skills for use in employment opportunities as well as postgraduate education. This class will have an open forum structure where attendance and participation is extremely important and required. To become acquainted with common command line tools and the PSU Meteorology Linux Network. To gain knowledge of commonly used scientific data formats. To become familiar with handling and managing large datasets. To become accustomed to using scripting languages to process data. To understand and use RDBMS (Relational Data Base Management Systems) for scientific data. No more than 2 unexcused absences. You MUST participate in class discussions. Must be able to apply concepts and techniques to assignments. Assessments will be made for code functionality. Class 1: Introduction, discussion and class expectations. Class 2: Practical Linux for scientists. Classes 3-5 Data formats and processing techniques. Classes 6-8: Database design and implementation. Classes 9-13: Project design and implementation. Class 14: Wrap up, final discussions and exit survey. This course abides by the Penn State Class Attendance Policy 42-27 at http://senate.psu.edu/policies/42-00.html#42-27, Attendance Policy E-11: http://www.psu.edu/oue/aappm/E-11.html, and Conflict Exam Policy 44-35: http://www.psu.edu/ufs/policies/44-00.html#44-35. Please also see Illness Verification Policy: http://studentaffairs.psu.edu/health/welcome/illnessVerification/, and Religious Observance Policy: http://www.psu.edu/oue/aappm/R-4.html. Students who miss class for legitimate reasons will be given a reasonable opportunity to make up missed work, including exams and quizzes. Students are not required to secure the signature of medical personnel in the case of illness or injury and should use their best judgment on whether they are well enough to attend class or not; the University Health Center will not provide medical verification for minor illnesses or injuries. Other legitimate reasons for missing class include religious observance, family emergencies, and regularly scheduled university-approved curricular or extracurricular activities. Students who encounter serious family, health, or personal situations that result in extended absences should contact the Office of Student and Family Services for help: http://studentaffairs.psu.edu/familyservices/. Whenever possible, students participating in University-approved activities should submit to the instructor a Class Absence Form available from the Registrar's Office: http://www.registrar.psu.edu/student_forms/, at least one week prior to the activity. Here’s a brief interpretation of that integrity policy, as it applies specifically to this course: You may never copy answers from another person and present them as your own. This applies to quizzes, exams, and problem sets. You are allowed to discuss the problem sets with other students, but the work you turn in must be your own, in your own words. Suspicion of copying on problem sets will result in an immediate 50% reduction for the first offense, and an F for the course on the second offense. Cheating on exams or quizzes will result in an immediate F for the course. The Office of Disability Services at http://equity.psu.edu/ods/ requests and maintains disability-related documents; certifies eligibility for services; determines academic adjustments, auxiliary aids, and/or services; and develops plans for the provision of academic adjustments, auxiliary aids, and/or services as mandated under Title II of the ADA Amendments Act (ADAAA) of 2008 and Section 504 of the Rehabilitation Act of 1973. A list of these ADA List of Services is provided at http://equity.psu.edu/ods/current-students. Campus emergencies, including weather delays, are announced on Penn State Live at http://live.psu.edu/ and communicated to cellphones, email, the Penn State Facebook page, and Twitter via PSUTXT sign up at http://live.psu.edu/psutxt .